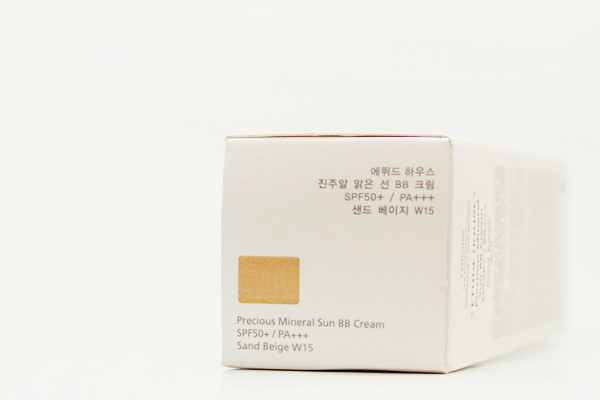 I've been using the Etude House Precious Mineral Sun BB Cream Cool Fix SPF 50+ / PA+++ since it came out locally months ago. (I didn't know it at the time, but I actually bought it the day it came out.) Being a makeup minimalist, it's my everyday face base -- well, my everyday face really. I don't use powder anymore. There are lots of reviews on this BB but a friend asked me about it so I decided to write my own. I've tried other BB creams but this is my favorite. I had no experience with BB creams prior to this one, and picked it out based solely on the sales assistant's recommendation (and a quick swatch on the back of my hand). Good thing the shade (Sand Beige W15) is a good match for my skin! I giggle at the enthusiastic emphasis on brightening. Click photo for larger view. Titanium dioxide and zinc oxide provide physical barriers to UV rays. 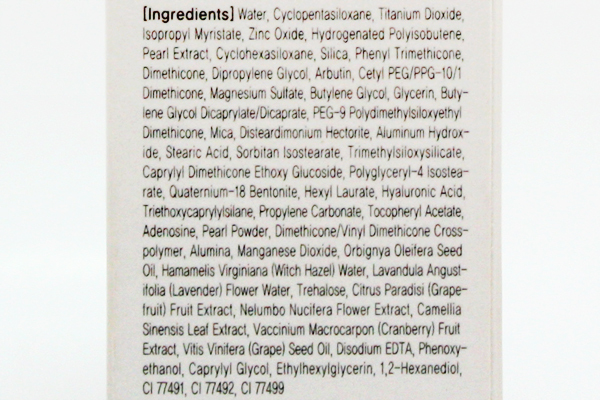 Nice to see skin care ingredients like arbutin, hyaluronic acid, tocopheryl acetate, witch hazel, and oils. 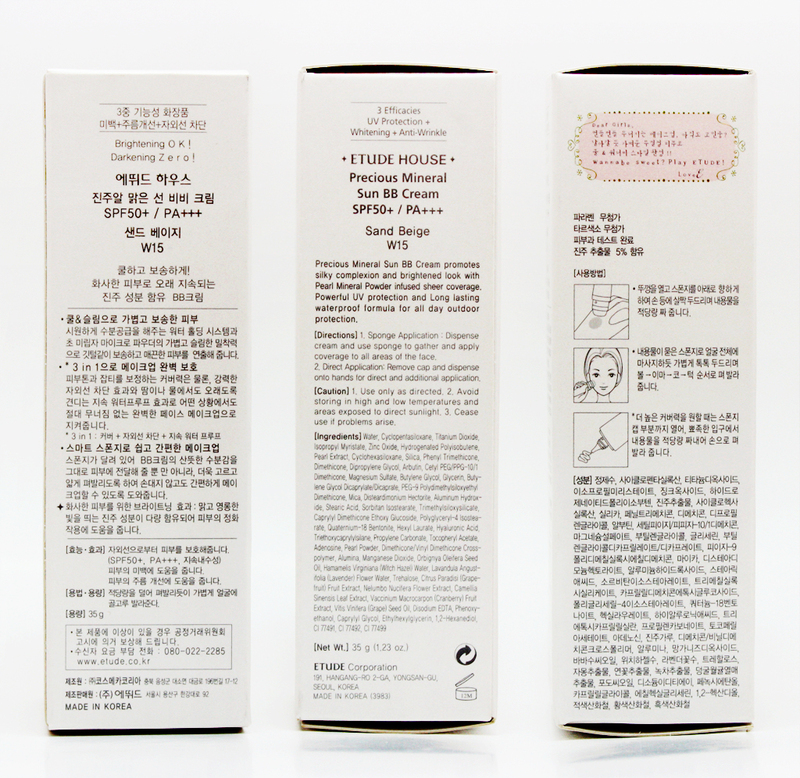 No parabens listed. Twist the sponge off and use the thin tip! 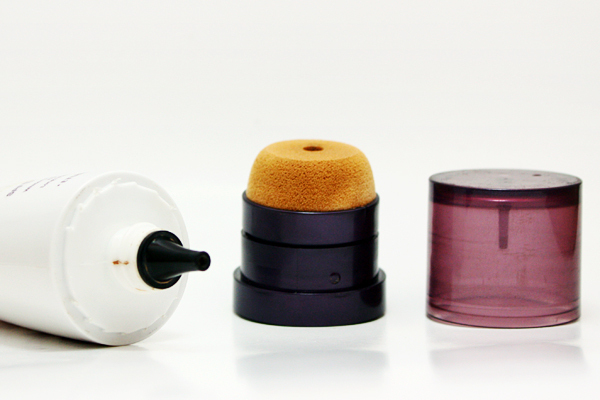 This gives you much more control over the amount of product dispensed, and there's no wastage. This much is enough for my entire face. The cream is thick but spreads easily. 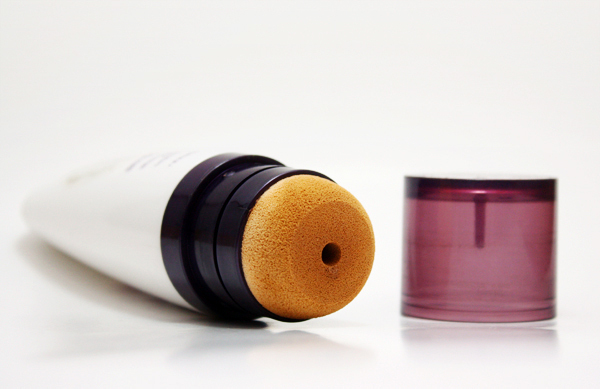 Blends to give you a dewy but semi-matte look. 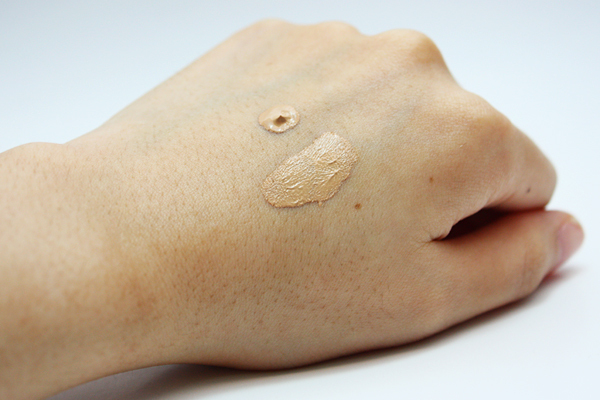 Initially I thought the shade was too dark for my skin, but it sort of color-corrects when it settles. Then I thought it was too light, but it turns out I was just putting too much of it on and the high SPF was giving me a white cast. 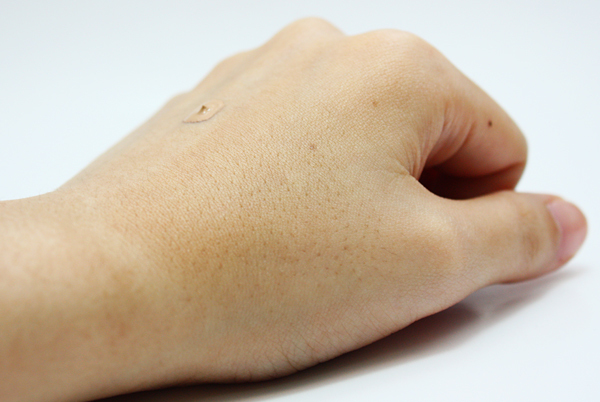 When I found the amount that was just right, it looked great on my skin. Because it dries semi-matte, I don't even set it with powder anymore. 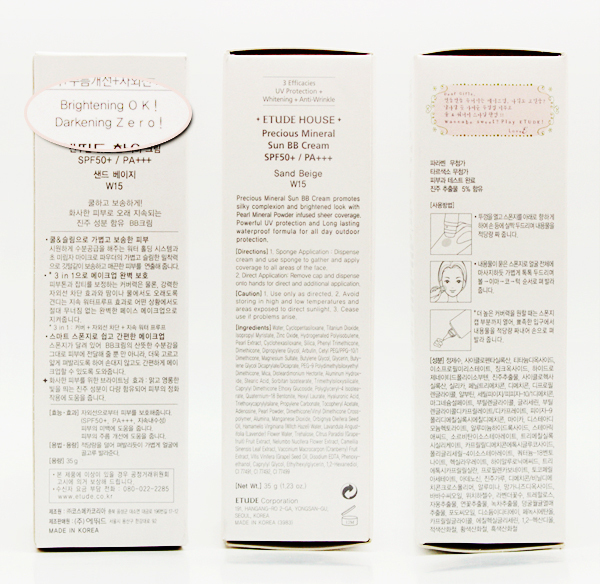 I find that the cream alone gives my skin a more natural finish. This is me after walking in hot humid weather in 5-inch heels. Please to be ignoring the crazy frizzy hair. 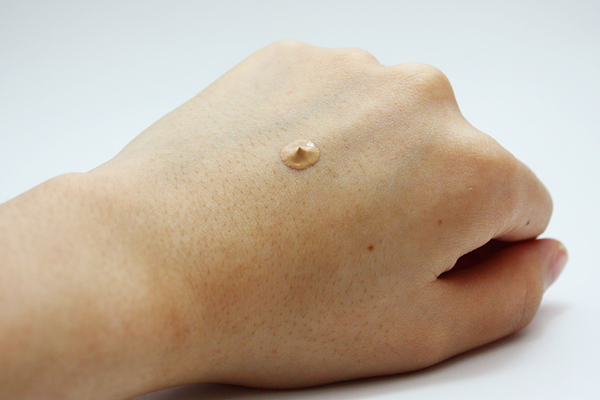 The thing with this BB cream is that it looks even better once you've sweat in it a bit. 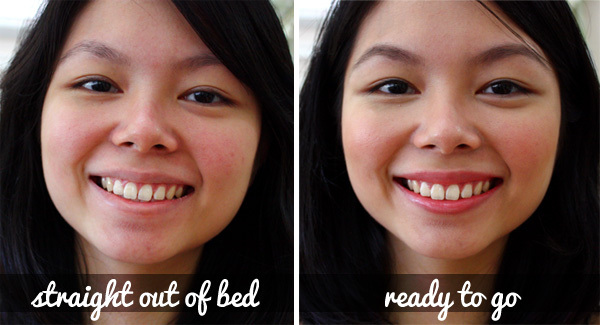 Gives you that fresh no-makeup look. With this on, I've been told that I look, "So young!" 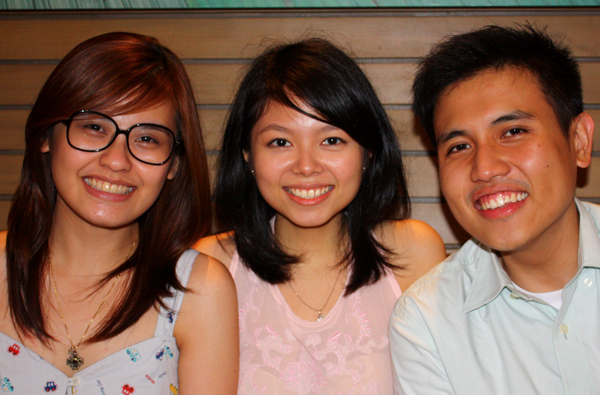 Someone even told me that I looked like I had no pores -- omg!! I have large pores so that was quite a compliment. Without and with direct flash. 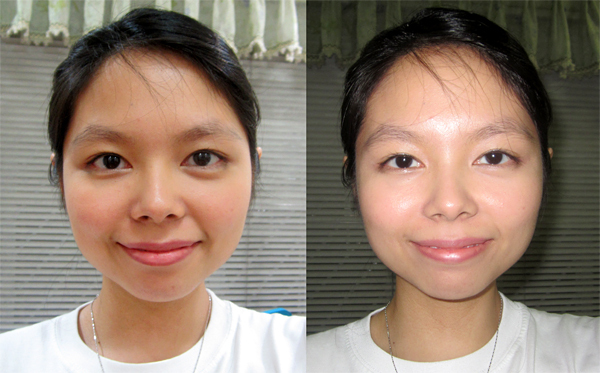 Applied with The Face Shop Circle Face Brush. 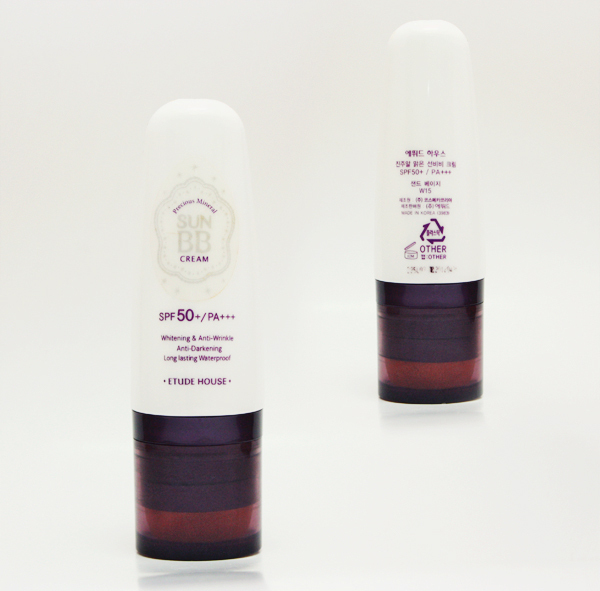 With such a high SPF, you will worry about having a white cast on your face. But as long as you don't over-apply, there's nothing to be worried about -- as you can see in this photo and the one before it. Both were taken after hours of wearing the BB cream and not retouching. Oil control is fair, had to blot with oil control film every 3-4 hours. 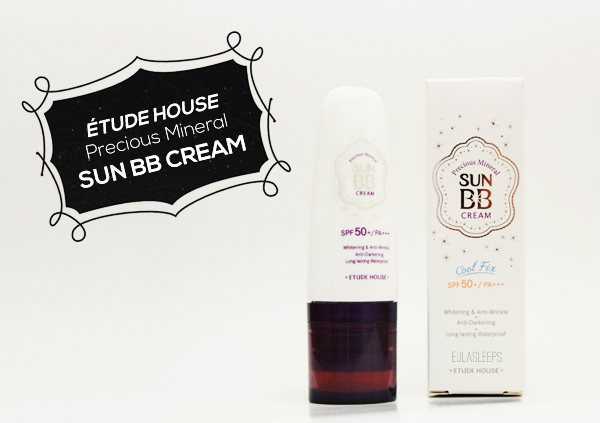 The Etude House Precious Mineral Sun BB Cream Cool Fix SPF 50+ / PA+++ is available at all Etude House boutiques and kiosks for Php 978.